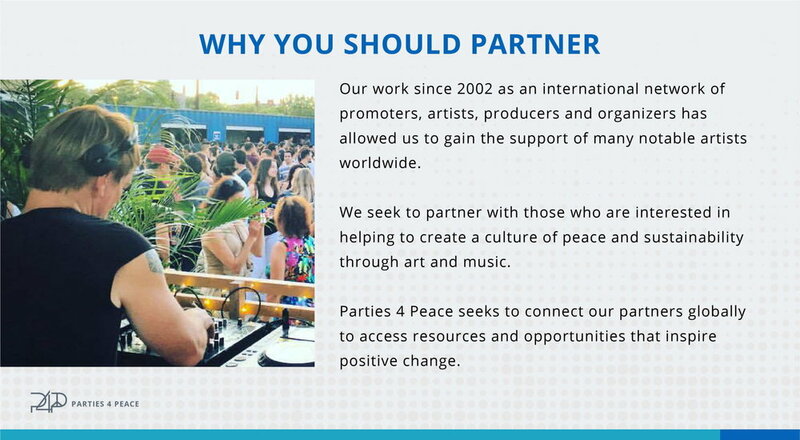 from DJs to club owners, designers, educators, party-promoters and volunteers, everyone can be a partner with Parties4Peace ! Thank you to all of our partners in New York City, Miami, San Francisco, Chile, Tokyo and many other locations around the world. 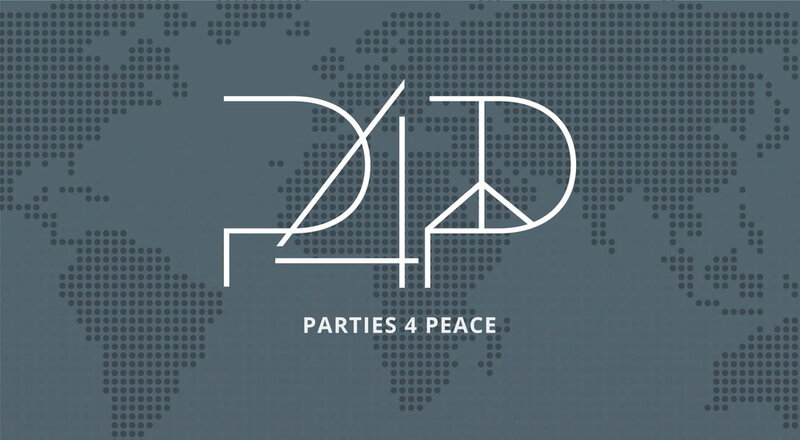 Parties4Peace is made up of a dedicated team of people who volunteer their time and talent to make a positive difference in the world. 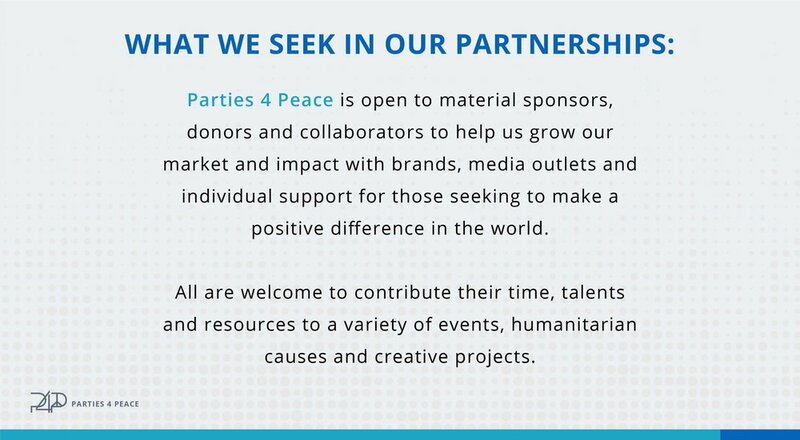 Please get in touch if you’d like to be involved, we’re always searching for new opportunities to inspire positive change.